How did she know that was God speaking to her? Recently I heard a pastor say that our God is a speaking God. He loves to talk to us and he talks to us in many different ways. That is SO true! I completely agree with that! I read the Bible, a devotional or an inspirational book by a Christian author, I journal and I pray. This is nothing new here. I didn’t make this up little routine up. People have been rising early since the beginning of time to worship God. Reading others’ work including the Bible is always inspiring. Writing out what is in my heart is where work in my heart begins. 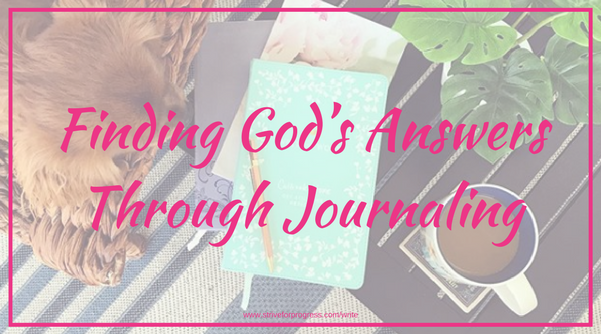 Writing out God’s answer is where healing, purpose, guidance, and peace happen. Praying continues the conversation and concludes my time with an amen to Jesus. Today! 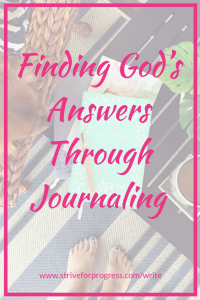 I shared how this journal has changed my life! Watch my Live Instastory or go to Facebook/NatalieHixson and watch the video there! Do you journal every day? How has it changed your life?! ? The Write the Word Journal is my favorite journal! I fill the “Today Is” space with the date and the weather. I fill the I’m “Grateful For” with the first thing that pops into my head but I make sure it’s something different the prior day’s thing. Now pay attention, here is where it gets good! I wait to fill in the Bible verse till last! I turn the page over and write what’s going on in my heart that day. Anything from the current blessings to drama in my life to something I thought about while reading that morning, or plans and ideas for my business. Once I am done writing I pick a word for the day, usually picking it from the feeling I have after writing what is on my heart or scanning my writing for a common theme/word. Then I flip the page over, look up the Bible verse and read the answer or thought God has for me. 9 times out of 10 he DIRECTLY speaks to what was on my heart that day. It’s SO amazing! I just sit there in awe, praising him and wanting to scream at the top of my lungs of how excited and happy I am but having to be quiet as the kids are still asleep haha! This is a super awesome journal. Check it out! Need a simple morning routine that gives you time to read, journal and pray? Click the button below for my FREE Simple 3-Step Morning Routine! PS Don’t forget your FREE download!